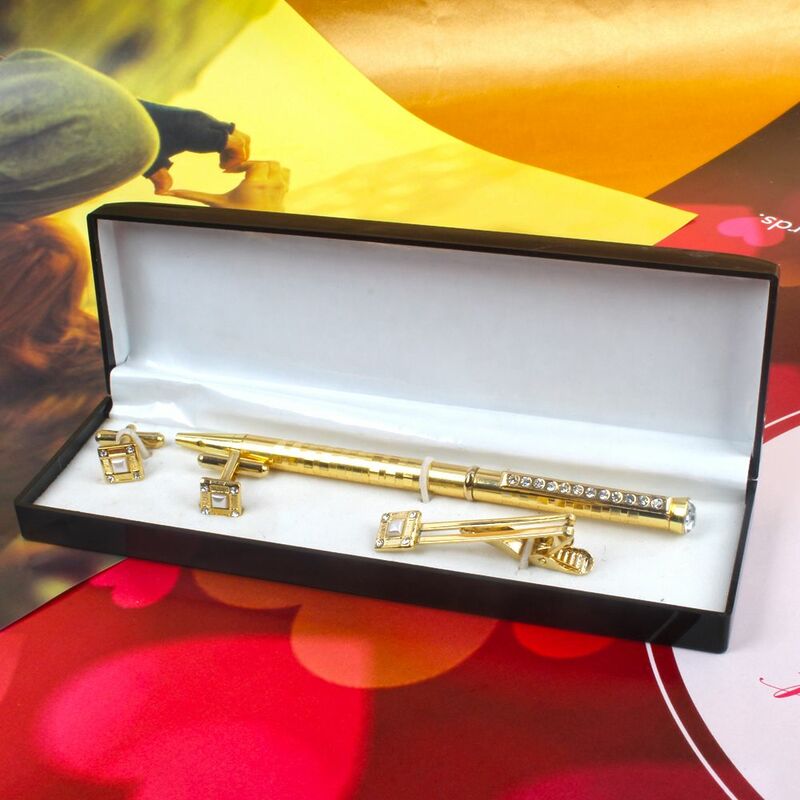 Product Consists : Golden Cufflinks Set Gift Box Including Tie Pin and Pen. 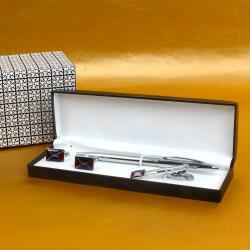 Have a look at this very amazing gift combo which is fit for gifting to him on any special occasion. 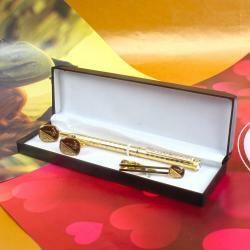 This gift hamper contains Tie pin, Set of cufflinks and pen in golden color with Diamond studded. This three items are in golden color which looks very attractive for gifting. 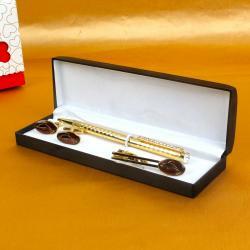 Tie pin and cufflinks set of this gift combo is best for enhancing your formal and party looks. So go ahead, place your order now. 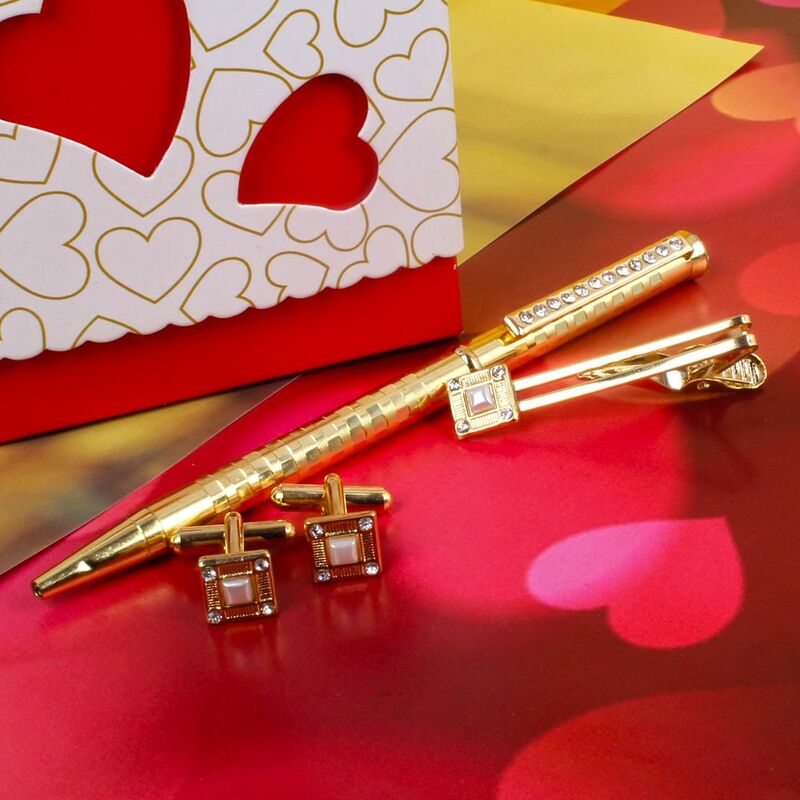 Product Includes : Golden Cufflinks Set Gift Box Including Tie Pin and Pen.